This challenge was mainly about the marquise, which is basically a frozen mousse. It was served with meringue and caramel and spiced almonds. This was somewhat similar to the other mousse/meringue challenges we’ve had, but what made this one different, and had something I hadn’t really done before, which were the spiced nuts. 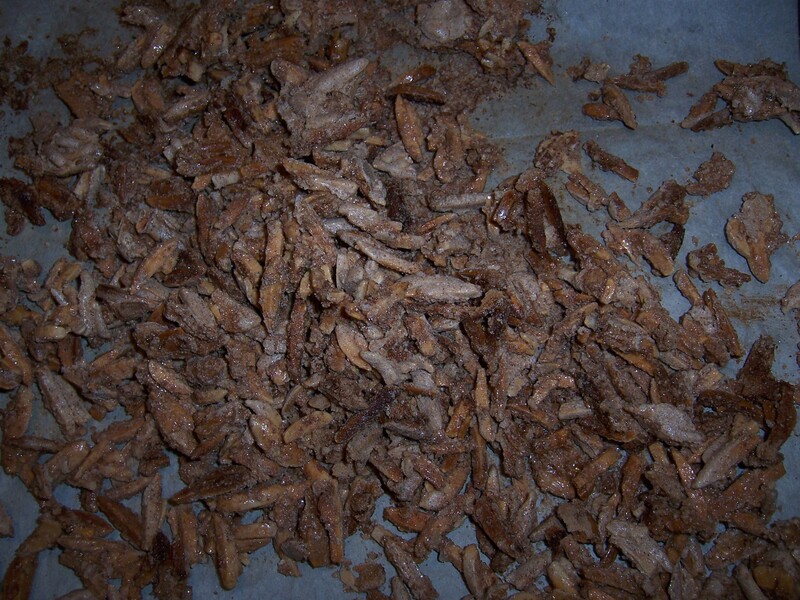 I couldn’t find whole almonds, so I used slivered, and used extra cinnamon instead of adding cayenne. They were awesome! 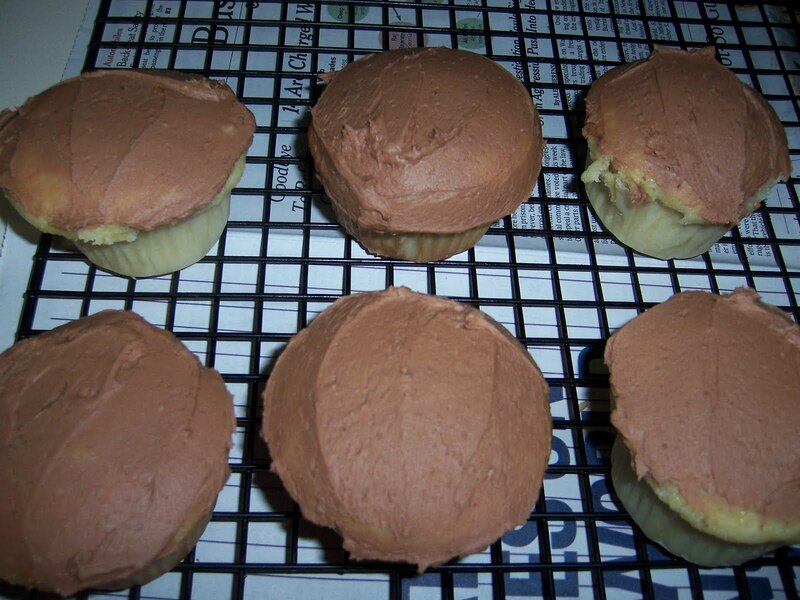 I even used some leftovers to top some cupcakes! I didn’t take a picture of everything, but I’ll share what I’ve got! 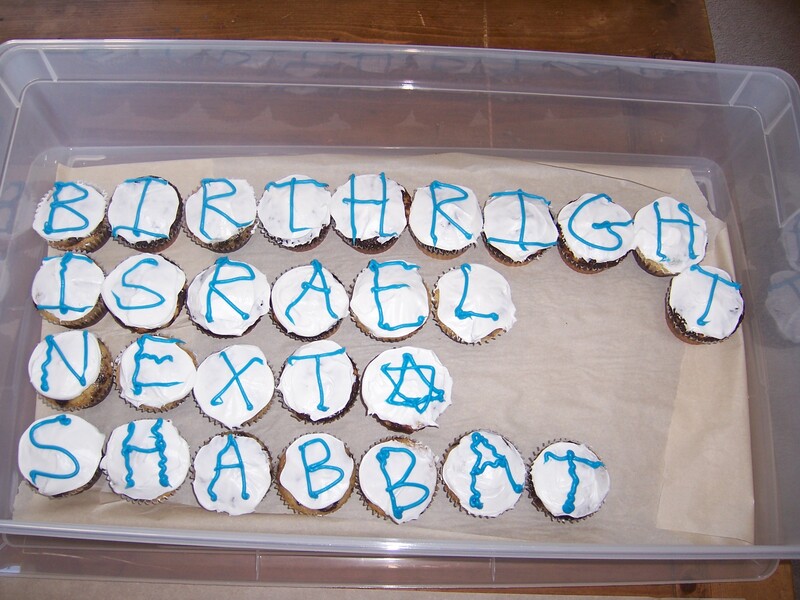 I hosted a picnic in Alta Plaza park in San Francisco via Birthright Israel NEXT Shabbat. It’s a great program that allows alumni to host Shabbat meals and get reimbursed based on the number of people that attend the event (up to 16 people). This was my second Shabbat meal this year. This time I got catered food from Beautifull and made cupcakes. The cupcakes I made were chocolate and vanilla marbled cake, with vanilla frosting as well as some topped with slivered almonds covered in cinnamon sugar. Since I needed a good way to use up the sprinkles that were given to me after the holiday cookie party my friend had about a week ago, I decided to make a Funfetti cake. I used a basic yellow cake/vanilla cake recipe and added the sprinkles typically found in the cake batter-the “crunchy” bigger ones…if you do know Funfetti cakes…you know what I’m talking about…if you don’t know…go to your local grocery store and pick up a box. Now, I would not normally say that Pillsbury makes good products, or that you should make cake from a box, but I see it as the Kraft Mac ‘n Cheese of cake. (Not that I would advise to buy/eat that either) but my point is that it is a cake that I grew up knowing from attending various birthday parties. It’s all about the nostalgia for this overly sugared cake. Since I haven’t worked in a bakery, or have done any cake decorating since I graduated school, I decided it was time to practice my piping skills again. 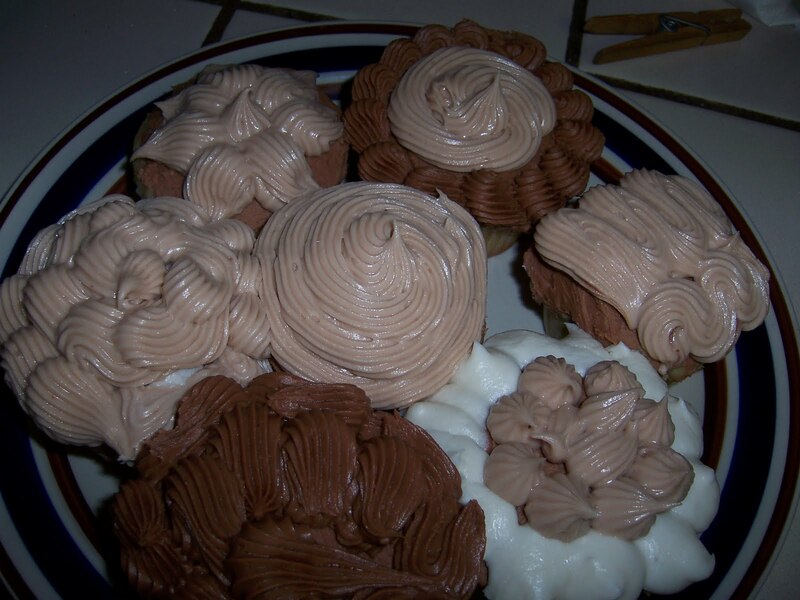 So, I made some cupcakes to give me a nice “canvas” for my decorating skills. I only had a large pastry bag, so I was only able to use the star tip and the bigger size of the straight tip that I have, but still, some practice is better than none. I used a combination of the “shell” design and the “pearl” design for these cupcakes. Next time, I will have another bag that I can use with my smaller tips, and I will practice making buttercream roses, and other flowers. I will also get some food coloring, so there will be no boring, really ugly, brownish chocolate frosting. Also, now that I have a piping bag, I can make other desserts that require piping, such as eclairs, and macaroons. I also just bought some new cake and tart pans that I can’t wait to try!